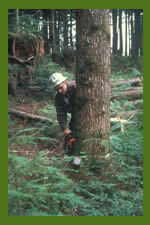 This page is a location for forest operations information. From a glossary of forestry terms to required and recommended work practices outlined by Occupational Safety & Health Administration (OSHA), this page can connect you with answers to many forest operations questions. If there is information that should be included, we want to hear about it. The Rural Technology Initiative has converted three USDA/USFS sets of videos from VHS to digital. This glossary is based on prior glossaries defining woods words, cable logging, and forest engineering terms. The mastery of terminology and jargon is one of the most valuable initial steps that can be taken by a novice to an area of study. 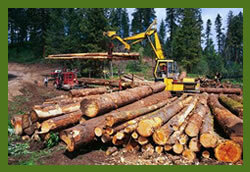 Included here are words associated with logging, transportation, forest engineering and silviculture. 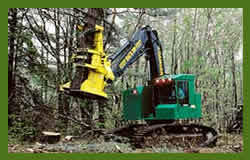 Logging is the most hazardous industry in the United States, particularly the activity of manual felling. 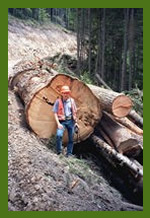 This Advisor outlines the required and recommended work practices that can reduce logging hazards. * Washington established a federally accepted occupational safety program called the Washington Industrial Safety and Health Act (WISHA). It is independent of the Department of Labor's OSHA program, but the Logging eTool site is still very informational. 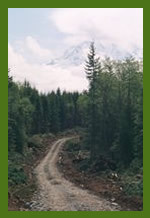 This website contains information, programs and forms used in implementing forest health maintenance and improvement projects on the 19 national forests in Oregon and Washington. Information contained in this document include surface drainage, subsurface drainage, and drainage crossings. It has been developed for the guidance of employees of the Forest Service, USDA, its contractors, and cooperating Federal and State agencies.